Facebook now let you insert a widget of pages onto other sites such as blogs or websites. 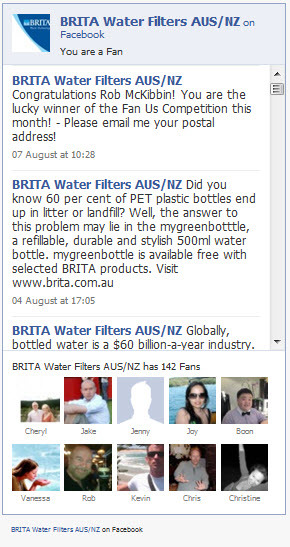 Here’s an example of the BRITA facebook page widget that we have developed. The Fan Box as Facebook call it allows people to become fans of your page with 1 click without needing to visit Facebook.